See all the highlights of the Arctic North on this roundtrip. From Rovaniemi via Swedish Lapland to the wonders of the Lofoten and Vesterålen islands, this tour takes you all the way to the end of the world at the North Cape. Arrive in Rovaniemi, the capital of Lapland, located above the north part of the polar circle. Rovaniemi is the home of Santa Claus and this is where he has his very own post office. After a hearty breakfast your destination for today is the mining town of Kiruna. Here you have the possibility to do a guided tour through the mines. Overnight in Kiruna. The tour continues to the island group of the Lofoten – large, untouched countryside, rough mountains and sharp peaks, open ocean and protected bays and beaches. Thanks to the Gulf Stream the climate is much milder than in other areas of the world with the same latitude. Overnight in the South of the Lofoten in a typical Rorbu hotel right by the ocean. Experience the most beautiful part of the Lofoten this morning. On the ride to Svolvaer you will pass Henningsvaer. This place is located on one of the small islands on the South of the island Austvagoy. After lunch at the port, like a traditional fish soup, we recommend a visit to the gallery “Lofotens Hus”. Afterwards you continue your journey to Svolvaer. You can make a stopover at Kabelvåg to visit the “Lofot Cathedral” with its neo-gothic style. From Svolvaer you proceed to Fiskebol, and take a ferry to Melbu, therefore arriving at the island groups of Vesterålen. Overnight in Sortland. Continue northwards along the Vesterålen, located north of the Lofoten. They are, completely wrongfully, often forgotten by most travelers! The Vesterålen are in their nature a lot rougher than the nearby Lofoten, but also more unspoiled. On your way to Andenes we recommend to stop your ride at the unknown, but regional unambiguously nicer Western coast road. Depending on your departure in Sortland there is the possibility to participate in a whale safari from Andenes (subject to changes in timetable of the ferry Andenes – Gryllefjord). After the ferry cruises to the two fjords Andfjorden and Malangen, steer to your day destination Tromsö – the “Paris of the North”. After breakfast, come along the way to Alta, the biggest city of the district Finnmark. On the way there you can enjoy a unique panoramic view of the mountain range of the Lyngen Alps. Once arrived in Alta, we recommend a visit to the Alta museum. It accommodates the world-famous, between two and six thousand years old prehistoric rock engravings. In the museum are exhibitions and charts about the cultivation of seeds, the war history of the region and about northern lights. Now it is no longer far to the North Cape! 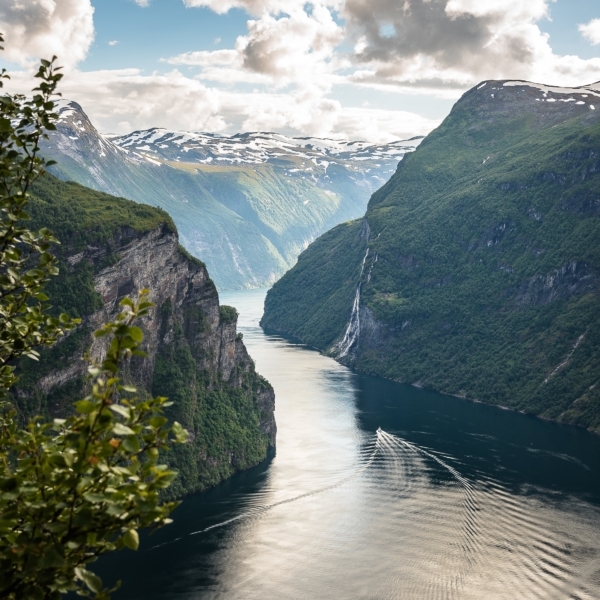 Along the Porsanger fjords and through the North Cape tunnel you reach the probably most famous point of Norway. During May and August it is hard to decide whether it is day or night. On the rock plateau of the North Cape, you not only have a breath-taking view of the arctic ocean but also see the phenomena of the midnight-sun. As a souvenir of your visit you receive a North Cape diploma. Now you leave the North Cape Island and continue your ride through the Finnmarks plateau, past the impressive Inari Lake and back to Rovaniemi. Depending on your flight departure time, this day is at your disposal to explore the small, picturesque metropolis Rovaniemi. Our transfer will take you back to the airport on time for your flight back home.